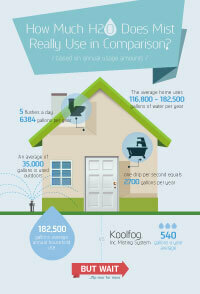 Home > What is the Koolfog Comfort Club? 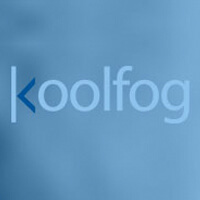 Koolfog, Inc. offers the most comprehensive maintenance and repair service available. This program allows your Koolfog equipment to operate at maximum efficiency, extends its life, and protects you against the unforeseen expense and nuisance of equipment failure. The Program is simple. You agree to schedule critical annual services for your misting system. In exchange, we provide discounts on labor and materials. And we don’t ask you to pre-pay for service not rendered. purchased your system just prior to the season). (if any) of additional service and repair needs. How much do routine services cost? Service costs vary based on the specific installation. For example: How many nozzles do you have? How accessible is the Koolfog pump unit? How accessible is the feed line and atomization line? Do you have fog as well as mist? With that in mind, the following estimates are based on average system configurations and based on residential use. For commercial or industrial use (i.e. 8-12 hours per day use) please call us to estimate your annual service cost. *Please note that the Spring Start-up Service will typically represent the majority of your total annual cost (60% – 75%). Pricing above does not reflect any discounting.